In a blog post from last year, I wrote about why as a blogger or website owner you should use SSL for your sites, how to get free SSL certificates from LetsEncrypt and set them up to work with Apache webserver. On March 13, 2018 LetsEncrypt announced support of wildcard certificates with the release of their new ACMEv2 protocol. So it’s time for a new tutorial on how to create a wildcard certificate. This time we will be setting them up to work with the webserver Nginx. If you are interested in getting a LetsEncrypt wildcard certificate, there is a major caveat during the renewal process. Before going through the installation steps, you may want to skip ahead to the renewal section and read that first. Wildcard SSL certificates allow you to secure an unlimited number of your site’s subdomains with a single certificate. Back when SSL certificates were only available to be purchased from a certificate authority, we had to option to purchase a single certificate for a domain name that included example.com and www.example.com. If we wanted to secure blog.example.com, we would have to purchase another certificate. As you can imagine, if we had many subdomains that needed certificates, this could get expensive. By purchasing a single wildcard certificate, we can secure all our subdomains with less administrative work. Naturally, the certificate authorities charged more for one. For most people, they may never need a wildcard certificate because there is a limited number of subdomains that they will be using. Since LetsEncrypt certificates are free, it is usually not a problem to request another certificate for each new subdomain being created. Somewhere where wildcard certificates would come into play is for sites that are offering services for users. For example, a company wants to offer free blog or forum hosting to other people, and each new blog or forum is hosted on a subdomain that is created on demand. Rather than deal with the logistics of requesting and renewing certificates for thousands of subdomains, they can just request a single wildcard certificate to secure them all. 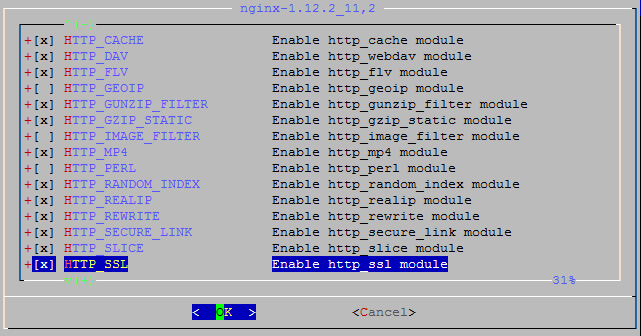 This step-by-step guide will show you how to create a free LetsEncrypt wildcard certificate and configure it for the Nginx webserver on FreeBSD 10. If you are running Apache, you can see the tutorial on how to set up SSL in Apache from our previous blog post. If you haven’t installed Certbot yet, you can find the instructions for your OS by going to the EFF’s Certbot page. What is different with requesting a wildcard certificate is that wildcard domains need to be validated with a DNS challenge type. This is different from the process of requesting a domain certificate in our previous tutorial, which used webroot for the challenge. Doing a DNS challenge requires modifying the DNS TXT records to show that you are in control of the domain name. Certbot will next ask you to modify your DNS record. For each wildcard certificate you are creating, you will need to add a separate record. For example, if you used the –d ‘yourdomain.com, *.yourdomain.com’, you will be prompted to add two TXT records. Once you’ve created and saved your record, you will need to wait for your domain’s DNS to update. You can verify that your TXT record has propagated by using the Gsuite Dig Tool and entering _acme-challenge.yourdomain.com and selecting TXT. Once your record has updated with the challenge value, press Enter for Certbot to perform the verification. If it all checks out, you will receive a message similar to the one below confirming that your certificate has been issued. On FreeBSD, the HTTP_SSL module is already selected by default. Remember what I mentioned above about a major caveat about using LetsEncrypt wildcard certificates? LetsEncrypt certificates expire after 90 days, so the Certbot documentation recommends running the renewal process daily. Certbot can automatically renew your certificates when the expiration date is less than 30 days away with a cronjob. The major issue is if you used the manual method to generate a certificate, your wildcard certificate CANNOT be automatically renewed without some work. $ certbot --dry-run renew --post-hook "/usr/local/etc/rc.d/nginx reload"
Attempting to renew cert (yourdomain.com) from /usr/local/etc/letsencrypt/renewal/yourdomain.com.conf produced an unexpected error: The manual plugin is not working; there may be problems with your existing configuration. So after every 60 days, you will need to remember to manually renew your wildcard certificate and modify your TXT record with your DNS provider or domain registrar. To automate the process, you either need to run your own nameservers on your server or your DNS provider needs to offer an API to update the TXT records. Then you can write a script that is called by –manual-auth-hook to update the records. 30     0,12   *     *      *     root     /usr/local/bin/certbot renew --dns-cloudflare --post-hook "/usr/local/etc/rc.d/nginx reload"
This will run Certbot renewal process at 30 minutes past midnight and noon, and reload Nginx with the new certificates. Hope this post helps with setting up wildcard ssl certificates for your domain. 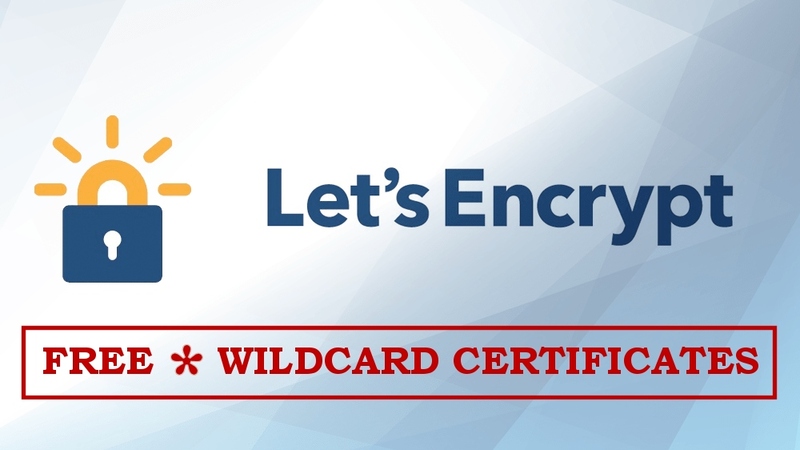 Thanks to LetsEncrypt, you can now easily secure your websites and blogs without needing to spend $80 or more a year for a wildcard certificate from other certificate authorities and resellers.